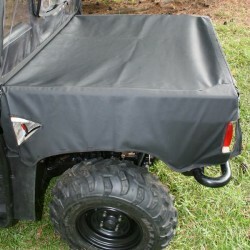 EAD Offroad carries UTV tops, covers and deck covers from Rugged Ridge and more. If you can't find what you are looking for give us a call at (888) 521-0170 or send us an email. 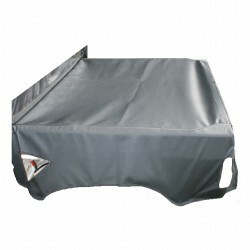 Keep the sun off your Rhino’s interior while keeping you cool and protected from the elements with a Summer Brief from Rugged Ridge®. Constructed of sun stop mesh. 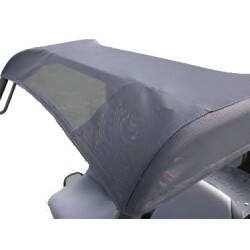 All Summer Briefs are custom fit for Yamaha® Rhino and install with nylon web straps with snaps (drilling required). 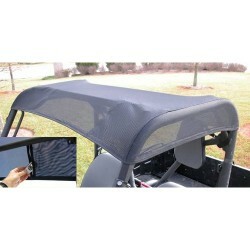 Soft top fabri..
Keep the sun off your Rhino’s interior while keeping you cool and protected from the elements with a Summer Brief from Rugged Ridge®. Constructed of nylon. All Summer Briefs are custom fit for Yamaha® Rhino and install with nylon web straps with snaps (drilling required). 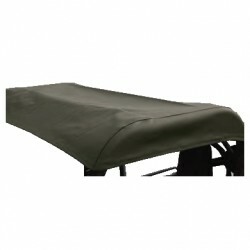 Soft top fabric versio.. 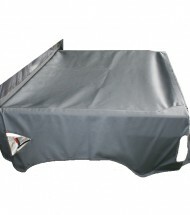 This durable tonneau cover keeps the contents of your UTV’s bed safe from rain, snow, hail and mud. 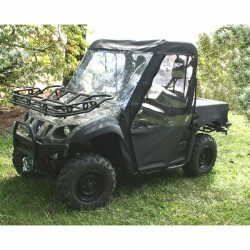 It opens quickly and easily for access to your bed and as a bonus it adds a smooth look to your UTV. Installation Requires (< 1 Hour): .. The Rugged Ridge Cab Enclosure is a complete soft top that fits over the roll cage to offer protection from the elements. 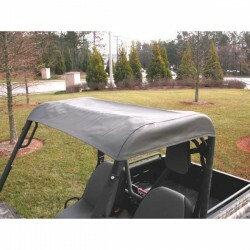 Rugged Ridge is the premier supplier of soft tops for Jeep and other off road vehicles. 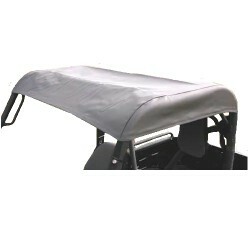 We have used that engineering and research experience to craft the most durable UTV top av..